Let me begin with wishing all of you a playful and healthy 2018! Some first thoughts on the games we played last few weeks. Not as much as we would like, but we were head deep in to the house move and the holiday season madness which is finally behind us again. We love the period, but coupled with the migration up north, it was maybe a little too much. But over with the personal banter, let’s dive into some of the games we put to a first test and our initial impressions about them. Keep in mind we mostly look from a two player perspective and these are very much our thoughts after just one or two games. A COIN like Twilight Struggle IP-based board game done right? There are many ones based on historical periods or on specific wars, but one on a fictional TV Show? And one based on one of the most acclaimed board games? Can that be any good? Spoiler alert, we think it did and we think WizKids has a nice system with this where they can expand upon (no pun intended) in this hopefully expanding (again?) universe we will get. Let’s say this upfront, it does help that we like the tv show a lot, but besides that, we think the game is going to work very well for non show followers also. It does contain screens from the show, so if you do not like such artwork in general, that may be an offset. As we are mostly playing our games two player, we do see that this will be a more involved experience with more players due to the very asynchronous factions bringing their different powers to the table. That will manipulate the board state much more and that is really what the whole game is about. Managing your presence on the board and being in the right place on the right time. In the base game, when playing with just two, you will only have the choice on playing Mars or the UN. But the designer (Geoff Engelstein) has released an unofficial document where you can also use the other two factions. Still the board will be scaled down and the use of the resources isn’t there yet, so it isn’t the full game experience. The two player game is more strategic in the sense you will have to react, or not, to what you think your competitor is trying to claim. Or just stick to your larger plan and build up your presence evenly for the long game. It almost has a chess like feel to it, but with more extra powers to manipulate the board state. It also depends largely on the cards which are available in the market and the way they come out. Another cool feature is that you won’t have a hand with cards, but must buy and play your card if it has your factions symbol on it from the market. When the sixth scoring card comes out the, the game will end. The timing of playing those score cards is again essential. Not as punishing when in your hand with Twilight Struggle, the tension here is, which player is going to trigger the scoring and am I ready for it? Overall we had above average fun with this game and we really liked our first plays of it. It does beg for a play with a full table, so we will have to challenge some of our friends to join us at the table and have some old skool space struggles soon again. The central deck of cards with the action points or the possible events you can play. Each player has his or her own player board with their specific technologies and a nice turn summary. Every faction has it own set of tech they unlock during the game which gives The Expanse even more the feel of really playing as one of the factions. We like the cascading scoring and the fact players themselves can decide which one is scored. This fact is secret to the other players. Timing of your position on the board versus what will be scored is key., but will you go all in or keep your presence divided for future scoring? The control of the Rocinante differs between the players based on position. It will give you a late round power to change the galactic situation to your best interest. Like captain Holden and his crew are known to do. Bring balance to the force……wait….that’s a difference universe. Another visual one where the asynchronous design is clearly seen. On the left Mars have their big bad battleship counter and on the right the UN have their big bad Diplomat cube. The counters are in space and needed to put influence out on the right in the separate boxes. Beyond that it is mostly majority which will be important. How is it that before Essen 2017, we didn’t even heard of this game and afterwards it may be in the top 10 of favorite games of 2017? Maybe it was because the “other India” game grabbed all the spotlight? Because the designer pedigree, with the outstanding Markus & Inka Brand, should have given us some warning signs. They just won some award for some game they did….and that is just one of the many stellar games they designed. Or maybe it was the fact every year more and more new games hit the market and holding up with every single game isn’t feasible anymore? Maybe a nice topic for a later blog. Rajas of the Ganges is a visual stunning race game where you will try to crank up your wealth as also your fame. When those two point trackers cross, the game ends. He or she who did this the best, where the best is the biggest gap between those two after them crossing, is the most legendary Indian rajas or ranis. Through clever use of your resource dice, building out your estate with wealth generating markets, fame point buildings and route building bonuses, sailing the Ganges and maximise your karma as clever as possible, you will gain the tools to choose the strategy you think will win you the game. Plus, the dice look soooo beautiful. At first glance the board seems very busy (which does project the real India nicely from what we have seen) but after a few rounds the actions spaces for your worker placement are very clear. You can gain more workers by going forward on the river or on both scoring tracks. Depending on the variant you are playing, you can get 5 or 6 workers in total. The dice represent resources, but to be honest they are just colours you use to buy stuff or generate more resources. It is a light to medium weight game, but it has some solid decisions to make and with the rulebook variants also enough replayabilty to keep it interesting. In most cases it is quite clear where to go every turn, sometimes other players may block you from spaces, so there is also some nice interaction going on there. For now we are very happy with what “Ganges” is adding to our collection! It’s complex big brother, Agra, we need to play still, but for now this is our favorite game with an Indian theme. Owh, and just one more advise we can give, don’t run out of dice! EVER! It’s dry, it’s a cube pusher, its pick & deliver, it’s planning Walhalla and it’s so good! Capstone games brought us the English reprint of the former german version, which even we as Dutch speaking individuals have difficulty of pronouncing correctly. Ruhrschifffahrt…. That all a side, this is a very solid medium weight board game where we get transported back to the days where the Ruhr was the central hub in all what was the coal trading economy in Germany. With only 12 actions you will have to build up your engine a.s. efficient and as quick as possible to keep ahead of the other Rhein vessels delivering coal to cities and storages. Building up your economy and your possibilities along the Rhein river is key to out plan you opponents. There is a Ohio side also now, but we haven’t tried that yet. It does take a little to get the hang of it planning wise. The rulebook was okay, but could have been a little more clear on same edge cases, but also on some basic rules. Now to be honest, from what I understand, it is miles better than version one. It does still have some rules which felt counterintuitive from only reading. Making use of your spot up or down the river is also something to think of when deciding your steps for upcoming rounds. While being a straight euro, it does have some interactive parts going between players, like blocking people from spots they wanted to go on the river. Another one bought on inspiration from Heavy Cardboard and it didn’t let us down. It may not be for everyone but it is definitely one if you like a more thinky and planning involved game. Game board and player boards for a 2 player game of The Ruhr. Edward from Heavy Cardboard mentioned this in his most anticipated list for Essen 2017 and from there on this was very high on our want to play list. We picked up our review copy at Essen and finally got around dangling our toes in to the waters that are called, Democracy Under Siege by 4Dados. Designer Luca Cammisa brings you a very involved and very interactive historical simulation leading up to the second World War. All that said and those premises are something we really appreciate, is it a good game also? We haven’t played this one fully yet, so take this with a grain of salt and as very early feelings. We played one game in many parts and we are seeing the potential and also the complexity of the game. It appeals in almost every sense and the way the Political Regime Tracker works is such a clever thing which stands out from what we have seen before. The tracker, a big round space with different smaller spaces in it holding the minor and some major powers you can pull or push away from your Ideologies. With that you gain points, but also lose points. You gain power to fight or lose powers where you lost allies for example. The CDG aspect is also good and also implemented well we think. You play political cards and or event cards secretly for your turn. Those generate in all cases political points which you spent later for actions you can do, but they also have an immediate effect when those succeed in case of a political card or are applicable as an event. The cards are based on the real events and have set moments where they can benefit you more or unlocking other possible effects later in the game. With just one learning game we still haven’t scratch the top of this hidden gem yet. There are so much levers to pull still and strategies to find out here. But we must say that this title is one we are very pleased to have added to the collection. We will be digging deep and will report back with an extended review on this when game times are up again. In the above game we went more high level on strategy and the big picture in ideologies, in Unconditional Surrender it is again the big scale of World War II, but now with the war itself as the main course. And when we say course, it’s a twenty-four course Texan barbecue diner with chocolate pudding for dessert. Brought to you by GMT Games. We just started with the introduction scenario (The Polish invasion) and are a little overwhelmed with this big step in to wargaming. Maybe it isn’t a real gateway one to start with, but we aren’t the gamers which necessary want to play games just because it introduces stuff without appealing to us as fun experience in general. Not to say there aren’t fun and good ones out there, but we just go for what just sounds like something we really want to play right? That gives incentive to go play and read the dense rule books. Which, in this case, is an excellent piece of art here from GMT. For now not much to say other than we need a big piece of plexiglass and some counter trays for sorting and a lot to learn still to start the big campaign. So we have been MIA for awhile due to the family stuff, but we hope to get back to normal in a couple of weeks, so we can continue our adventure we started last year. But most important is getting board games back to the table and enjoy them to the max. Last few weeks they were sorely missed, but the lack of energy was also part of not getting them out. So with things getting back to normal, while living with the parents-in-law isn’t “normal”, but we will persevere until the new house is build! Next blog will be about some new games we did receive in the last couple of weeks, so keep an eye on the blog for some hotness coming. Keep going forward, keep loving them games and share with passion!  Love your board game life! The BGG blog is also available! Come say hi there too!